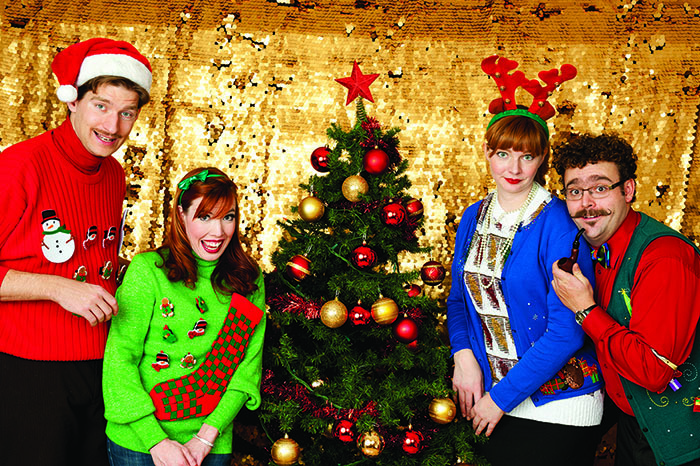 Disney, and other characters have been licensed for use on the festive sweaters. All four major American sports franchises, the NFL, NBA, NHL, and MLB have even jumped on the bandwagon with official team logos and athlete names knitted into the garments. 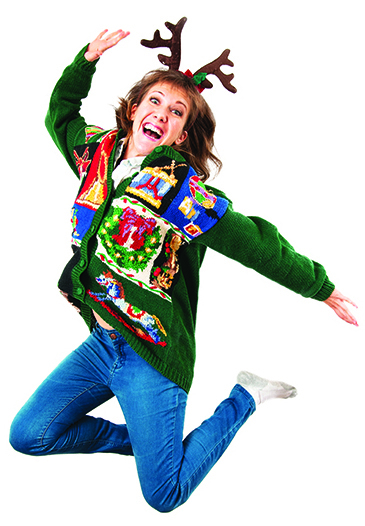 There is even a National Ugly Christmas Sweater Day! Whether you think they are funny, ironic, cute, or just plain hideous, this trend isn’t going anywhere. This is a look that is fun for the whole family, from grandparents, to parents, kids, babies, and even your furry friends. Holiday pet apparel is a huge market with sweaters in every pattern and color and even matching hats and boots. It may seem contradictory to purchase clothing that is considered to be ugly, but tis the season.